A recent patent filing by Apple Inc. entitled Enhancing Online Shopping Atmosphere indicates that Steve Jobs' next BOOM could involve a hat tip to virtual worlds like Second Life. According to the filing, Apple is considering a more interactive visual representation of its online store complete with changing weather and avatars. Let the griefer brainstorming session begin. The End of an Era: Steve Jobs Says Only One Boom! The Apple filing goes on to say that isolated, unhappy customers are more apt to be non-paying customers. However, if you provide them with "sunny" shopping experiences and virtual interactivity with Apple avatars, they might be more likely to come away with a positive impression of online shopping. Customers would also receive their own avatars, a la Second Life, and would be branded with letters to show their level of familiarity with Apple products. N is for New Users, or "newbies," and E is for Experts, or the entire Apple-loving Gizmodo staff. There are still a lot of unknowns regarding the filing. 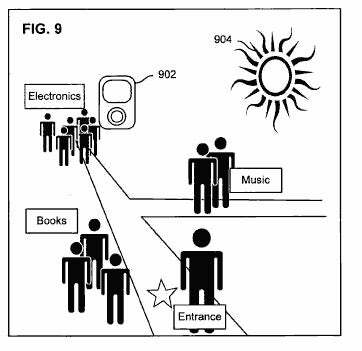 Add to that the fact that most Apple patents never see the light of day. As MacNN expertly points out, this could also be a reincarnated eWorld, Apple's ill-fated online service launched—and then un-launched—in 2004 1994.